My Classroom is Coming Together. Here is a video of what my classroom is beginning to look like. Most of the desks have gone. I decided I didn't want any student to have a tray in the desk, as I didn't want anyone to be able to claim a desk as "theirs". I had to do some problem solving with where the students would keep their exercise books, pencil cases etc. I am hoping my solution will work. A classroom always feels good before the students hit, once they are there it becomes quite different. So it will be interesting to see how we all fare in this new layout!! So my classroom is almost set, now I need to get my planning ready to begin the Daily Five. Here is a short video to show some of my changes, forgive the rather inane commentary. I need to work on that. Any suggestions you may have will be welcomed and listened to. Yesterday I spent most of the day making my first Livebinder. I was inspired to do this when I saw Theresa's LiveBinders on her blog. As I was on holiday I wanted to explore how they might work. As I was reading and deciding to implement The Daily Five in my classroom I thought it would be a good supplement to my literacy programme. 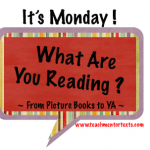 I can leave it on my classroom blog as a choice for students to explore during the Daily Five. I tried to find material that would suit my class. They are 10 to 12 year olds. I do have a wide range of ability, from one student who is under the resource teacher of literacy to students who score at the top end of the range. At this point I didn't try to differentiate. 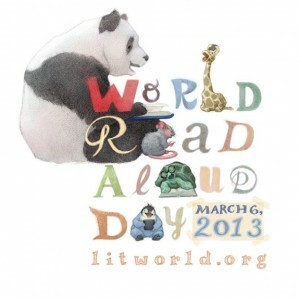 I remember a few years back when I was teaching another student who was working with the resource teacher of literacy. I had him listening to various CD's and other listening and reading material provided to NZ schools for free. After awhile the others wanted to listen in too, and set themselves up! My next goal is to establish a class wiki. I have signed up for one, but it may be awhile before I get to it with so much that I want to accomplish in redesigning the layout of my classroom! Redesigning the Layout of my Classroom. It is going to be a larger task than I thought. Before I get to the fun part I am going to need to do a major clean out. There are things that need to be thrown to the recycling or at least placed somewhere else, so that I can make room for new needs. I had thought we had some tote tray storage but someone else is happily using them, so I am going to need to clear shelves so that students can keep their things there. In fact I don’t want anyone to have the tote tray in a desk. 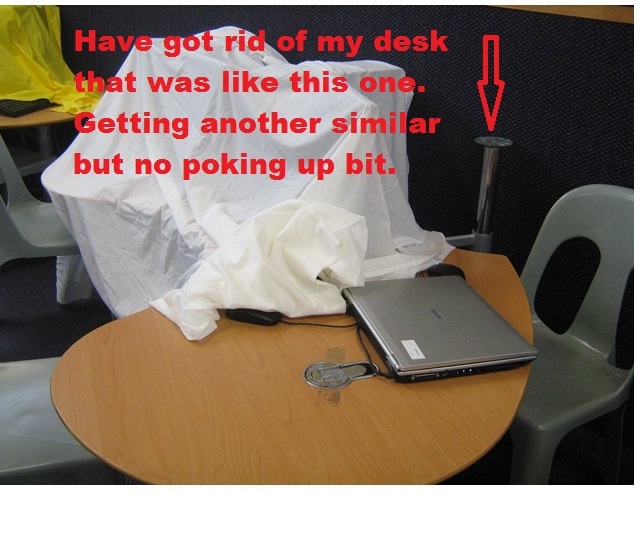 It might make them think it is “their” desk. So tomorrow the big throw out begins! Holidays are when ideas begin to mull around in my head. The summer holidays usually are the worst! I make huge plans, and then I return to school, and reality hits! It’s then I find the nitty gritty of implementing those plans takes a lot more than I anticipated in those lazy, hazy days of summer. However, this isn’t the summer break, it’s the two week mid-winter break. Ideas of how I want to make changes are entering my mind. I am blaming it on the fact I sat in an office for last term instead of a classroom. Normally my mind is mush at the end of a term and ideas have fled. Oh, and the second culprit, Twitter. It brims over with such great ideas. Firstly I got drawn in by the idea of the Daily Five. It’s a way to organize and structure the literacy programme, as shared by Gail Boushey and Joan Moser in their books, The Daily Five and The Café Book. I see there is a possibility of structuring Maths in a similar way; however I will leave that for the time being. ü It encourages students to be responsible and independent. ü It allows me time to work with individuals and groups. ü There are also times when I can meet for whole class input. ü Once I get organized each student will have their own goals that they are working towards. ü The Daily Five ensures that students keep those goals before them daily. We have often previously set goals and somehow during the term they have been lost, only to be remembered when we reflect towards the end of term. So that leaves plenty to get organized. 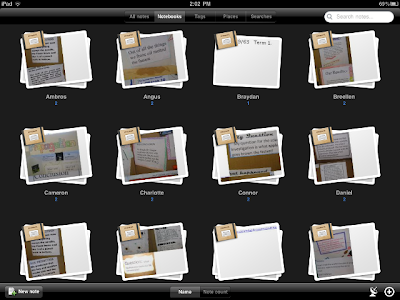 And I also need to make a general large picture of the social studies unit to be entered into for the coming term. There are plenty of other ideas also rolling around inside. Not new ideas, others have all been there before me, but I am walking the path for the first time. Fortunately great teachers have shared places on the internet to explore and obtain more information. 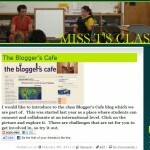 Subsequently I looked at the two sisters website and noticed the designs of some of the classrooms. 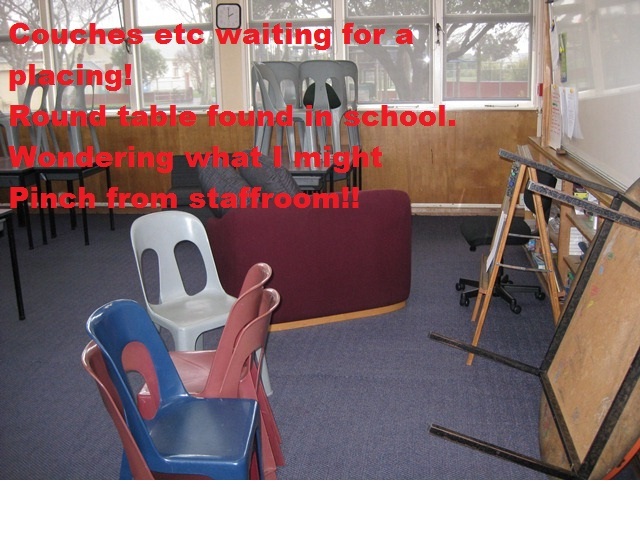 I heard in my head, “What if…..?” What if I made some changes in the layout of the classroom. (I am a structural control freak, you need to know that!) I decide where the students sit, I carefully craft a seating plan each term. ü Get a jelly bean shaped desk I can use. ü Organise how to store student gear. My classroom is generally the last thing I organize. My walls are never anything to write home about. There are other things that take my time and energy. But this could make a difference to learning and I am rather energized by the thought. There is a thought going around in my head about how students will cope with this. I am thinking that I will pre prepare but nothing too radical until the students return. 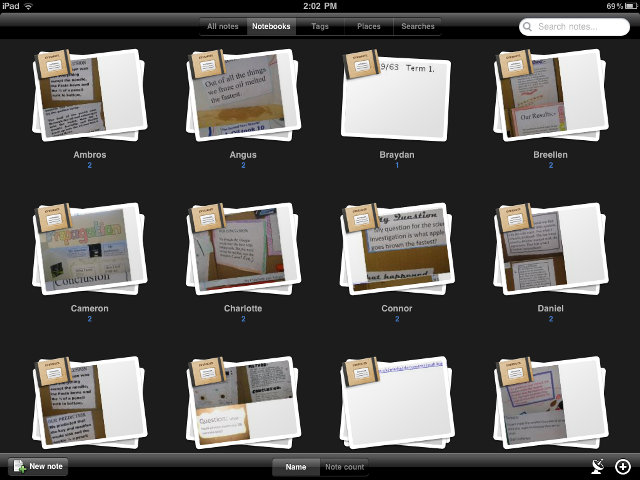 Then I will get them to think about the classroom and what if…? 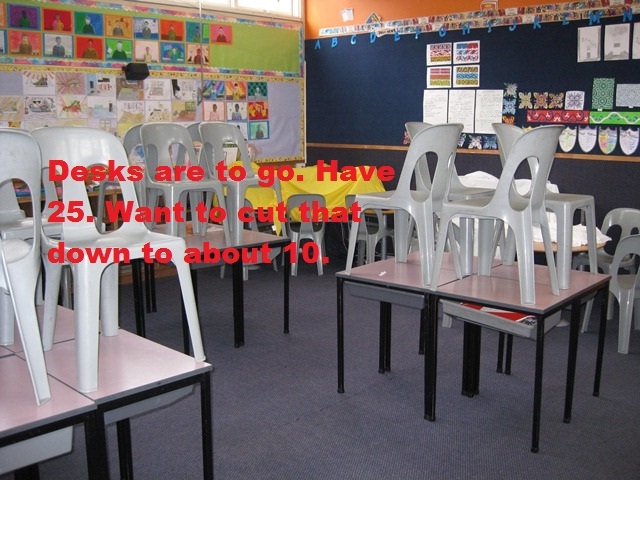 I will ask them to come up with a design, and get their thoughts on how many desks we need, where we could place things. I already have my jelly bean desk. I spotted it on Trademe, now I just need to organize the transport. I will be able to use it for working with groups of students and it can also double up as a working area for them when I am not using it. I have my eye on a 2 seater couch that will be local and easily picked up, and very cheap. Nice. How do I organize the way I can tap into my PLN and other places that I use frequently ? The hub of the network. That’s what PLN Challenge#6 is asking us to think about. At first I was going to give it a miss, however I decided to do a little “spring” cleaning. I now have things slightly more accessible and I am happy with it. I think that’s the essential part, it has to work for you. That said if others post on this, I will be looking at what they have done, as something may stand out to me as a great idea. This is how my homepage looked before the spring clean. It worked, however there were a few double ups and it didn’t have that kerb side appeal! Now I have changed the classic theme and put in Ninety mile beach. Far more relaxing and refreshing to view. 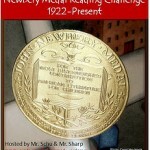 I have now put two pages on my iGoogle site after reading the challenge post. I have shifted my personal interest links to this page. 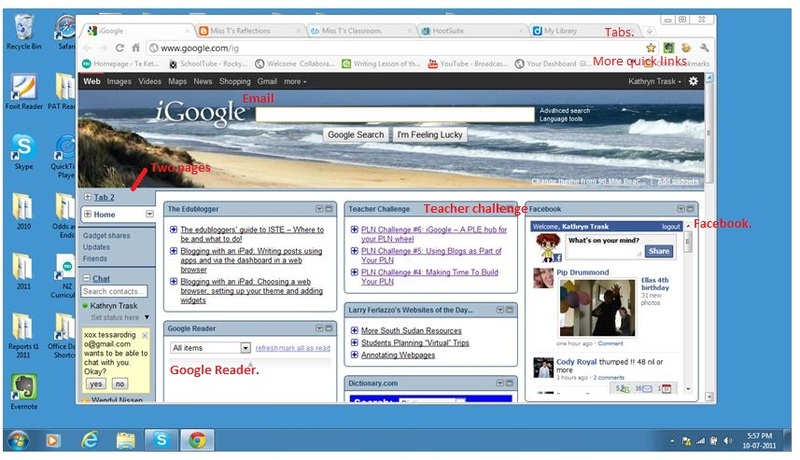 On the homepage I have added in a feed from my Google Reader and Facebook. I do have some educational links on Facebook, however family things also come in there and I like keeping an eye on it, so have given it prime real estate! I may add the Diigo bar as well later on, the problem when we have our laptops upgraded as teachers, is that it has to be set up again and some things get missed. Now as I do this I acknowledge there are a few places in my links I haven't been to recently. Like clothes we don't wear I guess they should be deleted. However I am going to hang on to them for awhile longer and try them on again! Now when I turn on my computer at school in the morning, a good cup of coffee and I will be ready to go. Evernote is a free web tool that I recently came across through reading Richard Lambert’s blog . Later I listened to a prerecorded webinar given on Wednesday eT@lking by Graham Clark. If you have it on two or more such devices it will sync automatically and notes you put in using your PC will be found on for instance your Ipad when you next open it up. Evernote allows you to keep notes that include text, photos, and audio. I cannot see any way of easily creating audio on your PC, however on the other devices it is in the toolbar and is very easy to add a voice to the note. If you pay $5 a month you can include all kinds of documents and video. At present I am only using the free tool, however as I begin to collect information I may move to the paid version. The free version allows you 60mb a month. While I will use it to collect, sort and tag a variety of information I want to use it to collect data about students in one place so that it will help me to track what they are learning through the year. 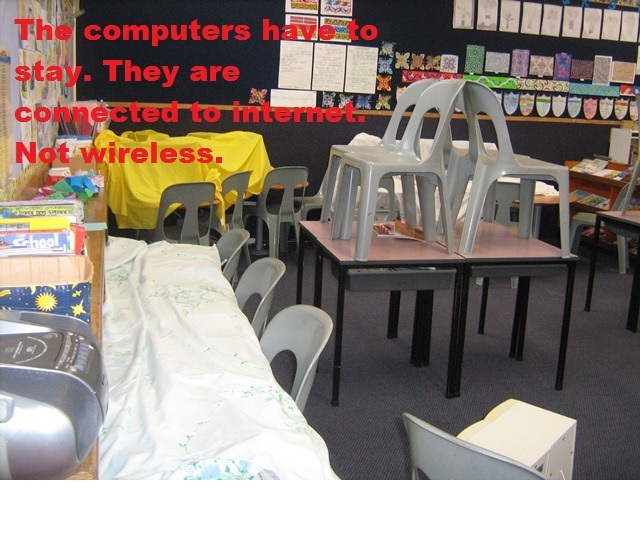 For example the class has just finished a Science Fair project. I have photographed these and put them in students’ notebooks. Evernote can be downloaded from their website. Apps are downloaded from the app stores. There is a web clipping tool which should also be downloaded. It sits on your tool bar and gives you the option of clipping the url, the whole article or the page. If you set your preferences under Tools you will also be able to choose from a drop down list which notebook you want to put the note in. A clipping tool is also added to your email and if you want to save a special email you can put it into you notebook. For example I just did it to remind me of a password I want handy for a website. If you are on your ipad you can also clip to your notebook using the email address assigned to you by Evernote when you join. The following video shows you how to do this. I haven't yet mastered this aspect! Clipping from your PC is far easier. If you are starting a new notebook this can be done from the tool bar at the top. Once the new notebook is made you are ready to start adding notes to it. The new note can then be clicked on, a title given to it and it can be tagged. Some teachers choose to tag by student name within a notebook. I prefer to set up a notebook for each student. I then tag as well, so that I could for example find all science information if I wanted. If students had their own devices they could have Evernote on say their Ipod Touch and they could track their own work e-portfolio style. I like this free tool and I can see that it is going to be very useful. I am looking forward to using it next term when I return to my classroom. If you don't already use it I suggest you give it a go. There are many uses for it outside of education. Try it.